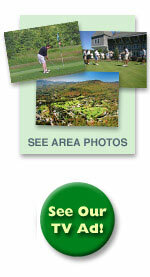 North Conway Golf & Lodging in the White Mountains, Mt. Washington Valley and Lakes Region. New England Village lodging is what you will find in Mt. Washington Valley and North Conway Village in the heart of the White Mountains of New Hampshire. 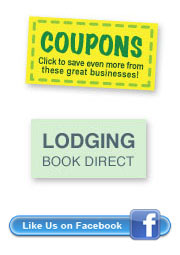 From quaint B& B's to larger chain hotels, all serving the best in hospitality, food and libations. Many are within walking distance of the center of the Village and most of its attractions, shops, factory outlets and art galleries. From White Mountain artwork, famous name brand clothing, shoes and housewares, New England made crafts and cross country ski or mountain bike or hiking trails, you have it all in this quintessential New England village. And within minutes of your North Conway and Mt. 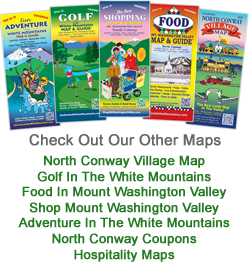 Washington Valley lodging are nearly a dozen world class ski areas, and attractions like Storyland and the Conway Scenic Railroad as well as the best swimming and fishing in the North Country. And don't forget to shop at more than 200 factory outlets that call North Conway home.